Holiday celebrations have begun! We hope you all had a fun and fabulous Halloween, we sure enjoyed the day. 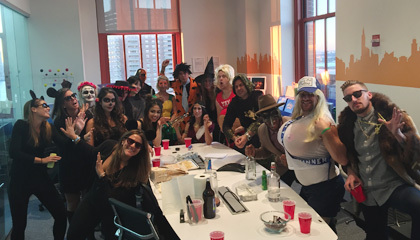 Pictured left: Our New York office dresses up for a pumpkin carving competition. Now it’s back to work delivering your amazing promotions! Not only has the Halloween-Thanksgiving-Black-Friday-Cyber-Monday-Hanukkah-Christmas-New-Year Holiday period begun, but so too has the spending. Don't let that last minute end of year budget go to waste, make the most of it and see ROI with a TLC promotional camapign. 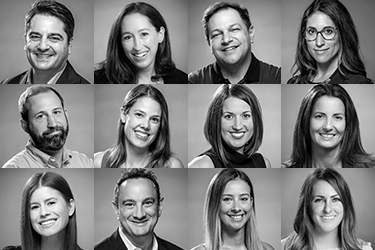 There’s a $630 billion holiday season ahead of us (an increase of 3.7% from last year) so what are this year’s National Retail Federation consumer spending predictions you need to know about and how do promotions help to make the most of them? 1) “Treat yo’ self”. More than ½ of shoppers plan to spend up big on themselves on non- gift items. Self- gifting is a trend predicted to carry through to 2016, with retailers bound to win if they make these self-indulgences easily accessible for customers. 2) Will Star Wars match the Frozen craze? In all categories from clothing to food, to toys, Star Wars merchandise will fill the shelves. Compete on something other than price and add value through lifestyle promotions or multi-channel movie integrations. 3) Gender matters. Unlike women, one in four men wait until December to tackle their holiday shopping. November will see the heaviest shopping period for both men and women (taken over a 5 year average). Last minute promotions incentivize spend in the quieter months of October and December. Contact us at USA@tlcmarketing.com for inspiration and ideas on your next promotion.